All plants are drought tolerant in their native habitat and no plant can live without water. No matter where a garden is located, the tropics or the desert, the plants in that garden should naturally tolerate periods of lower than average water. They may thrive with supplemental water during dry periods but the term “drought tolerant” can be very misleading, especially in summer-dry climates. Summer-dry gardens are naturally dry for long periods. It’s not drought, it’s normal. Depending on the particular location, a summer-dry climate can expect to be dry for 5 months (such as Seattle) or 9 months in Southern California. The best plants for those gardens are very different, but each can withstand months without water. Each garden looks better with some summer water and should be tolerant of no water, but this does not make them tolerant of drought outside the region and natural water they receive. It’s pretty obvious the Bellevue garden, near Seattle would not survive in Southern California but the cactus and succulent garden of the Huntington in Pasadena would not survive in Palm Springs without additional water. Drought tolerant tends to mean that the plant is tolerant of no additional water in a garden in a given climate. So don’t select plants for your garden that are simply called drought tolerant. A good local nursery will know the best plants for your region and may very well use the term “drought tolerant” when they really mean climate tolerant. Even local nurseries serve gardeners in diverse micro-climates, so know your natural rainfall when asking about drought tolerance. 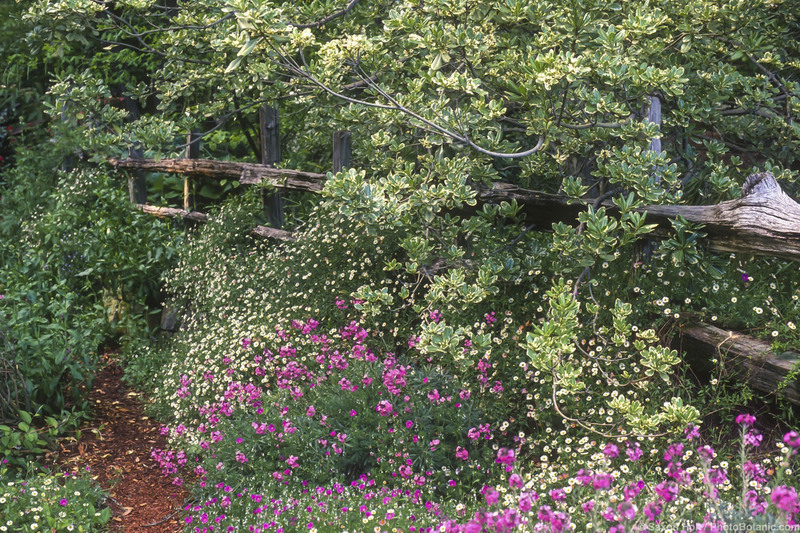 Most gardens look best with some supplemental water and the art of summer-dry gardening is learning how to use water efficiently and experimenting with plants that mix with others. The State of California has an excellent database of garden plants, comparing how the same plants grow in different parts of the State. The Water Use Classifications of Landscape Species or WUCOLS database is available as pdf or searchable database. The best plants for summer-dry gardens are not drought tolerant, they are tolerant of dry periods in their native climate. Know your garden. This entry was posted in Blog, Water and tagged saxon holt by summerdry. Bookmark the permalink. I see in your post a term I think should catch on. “Climate tolerant” is a much better term now that climate has been changing in so many parts of the world. In our area, we have had very dry summers which have not been all that common for our area, yet we can get late. cold springs and wet springs that really throw off whether plants flower and fruit. It really has been difficult planning gardens and resorting to only drought tolerant sometimes means death to plants in those cold, wet springs. It so depends on where one lives and how our seasons have been playing out. I do ho CA gets a wetter winter. Your area is long over due. Thanks for dropping by Donna. I have learned over the many years of photo requests from non gardening photo editors that “drought tolerant” is so imprecise and will not help gardeners have success. the word drought is so misused. Also container plants are whole ‘nother ballgame. I think most experienced gardeners understand plants water needs and tolerances. It’s the novices and general public hoping there is a magical fix for ignoring their garden. Saxon, your ability to entice and teach through gorgeous images is profound!!! Thank you. Your comments on drought tolerant–I live in the desert, drought is normal here too–are apt, but I think I like climate-adapted rather than climate tolerant though because plants need to be able to adapt to not just tolerate the changes we’re experiencing. Thanks for dropping by Judith. I agree that “climate adapted” may be a better phrase, the only reason I use climate tolerant is for the less informed to make the connection to drought tolerant, a phrase we hear too often. This is a year later that I am reading this and, good article! Here in Lake County it took a while to get the hang of the seasons compared to San Francisco. Well Lake County actually HAS seasons – and hopefully this new wet season will help repair some the fire damage up your way. I just found the website and blog Saxon… and THEY’RE AWESOME! I’ll be referring back regularly. I’m an irrigation pro and would love to see some resources for irrigating these “climate-tolerant” plantings. Too often I’ve been called upon to “correct” problems that stem from new installations that haven’t been “adjusted” since the day the contractor got paid. When irrigating “from scratch”, the thoughtful irrigator considers the water needs of new plants “once they’re established” as well as when they’re planted; revisits the site at least once (preferably several times) to adjust for plant growth; and DOCUMENTS when “and” what the irrigation system is supposed to be doing. I’ll be referring back here regularly and wonder if you’d appreciate any blog entries related to irrigation. I love talking about the topic and sharing my knowledge. “Drought tolerant”–I hate that term applied to California–it applies correctly to plants that can go for a few weeks without rain in summer-rain climates like Georgia or Virginia, perhaps. “Climate appropriate” seems more accurate for our state. I hate the term applied to any responsible gardening. In summer-dry climates long summers with no rain is not drought – its normal.